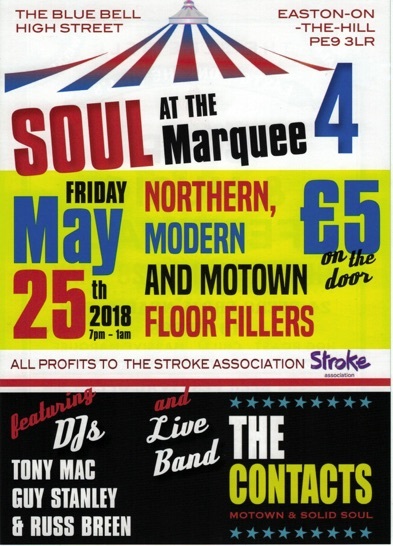 Friday May 25th - Northern Soul with live band; all day beer festival (which actually opens Thursday 24th). Saturday 26th - 2pm 20/20 cricket match; evening Easton's Got Talent and beer festival. Monday 28th - traditional family village fete - 11am pet show; 12 noon fete opens including traditional stalls, children's games area, maypole dancing (2pm), new hobby horse jousting (3pm) and £250 cash prize raffle draw. 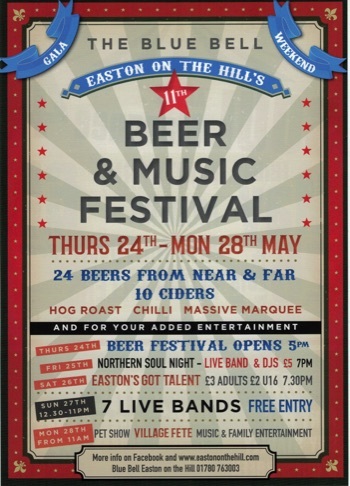 Beer festival and busking tent throughout. As you will be aware, takings from the Gala weekend's village fete are ploughed back into village groups and we are delighted to say, that this year there is a 73% increase in funds available for the groups' central pot!